NEW YORK CITY — The city’s storied Explorers Club wants to cool the conspiracy talk on the Yeti and prove once and for all whether the mythical Himalayan creature actually exists. Over the past year the club’s president, Alan Nichols, and nearly a dozen other members have provided advice to the kingdom of Bhutan on the best use of science and technology to determine if the beastly biped exists. The goal of the consultation is to help officials in the tiny Himalayan country set up motion-detector cameras and fly drones in its remotest regions in the hope of snapping a picture of the Yeti in its natural habitat. The partnership began out of a conversation between Bhutan’s crown prince, Jigyel Ugyen Wangchuck, and Nichols, who met at the country’s royal palace in January 2014 to discuss how the club could set up a chapter there and send students to explore the region. After the meeting, as the prince walked Nichols to his car, he mentioned how his father, the country’s former king who abdicated his throne in 2006, had once led an unsuccessful expedition to search for the Abominable Snowman, which the Bhutanese call Migoi. “The father was very convinced that the Yeti was real based on a lot of sightings in Bhutan,” Nichols, 85, said Wednesday inside the club’s Upper East Side headquarters, where some of the world’s greatest adventurers, explorers and scientists have gathered for the last century. Wangchuck asked Nichols if he would consult on a new search and the Explorers Club president agreed. 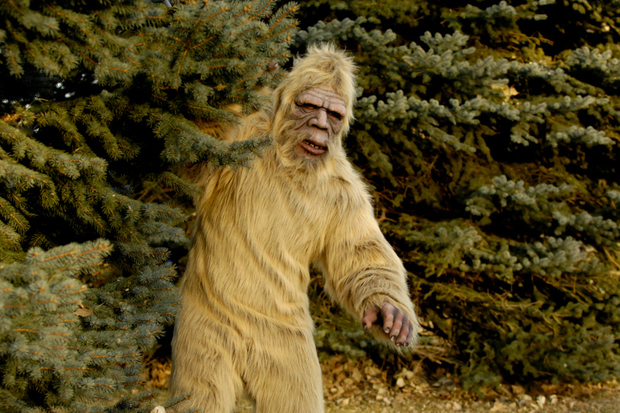 Westerners have been fascinated by the myth of the Yeti ever since European mountain climber Brian Hodgson claimed in 1832 that he and his guides spotted a large hairy creature moving on two legs in Nepal. Over the past two centuries, blurred or shadowy sightings of an apelike beast roaming the snowy Himalayas have added to its lore — despite routine debunking by skeptical scientists. Nichols said that there is speculation that what Yeti spotters could be seeing are Tibetan blue bears, which are common to the region, or mountain gorillas. He even left open the possibility of it being a new species of mammal. “It’s not an opportunity to try to create some interest in this Yeti,” Nichols said of the club’s collaboration with Bhutan. The club — whose past members include President Theodore Roosevelt, astronaut Neil Armstrong and North Pole explorer Robert Peary — has tackled the Yeti myth before. Sir Edmund Hillary, a member and the first climber to summit Mount Everest, went to Nepal in 1960 to investigate sightings of the creature and to examine an alleged scalp of one kept in a village temple. 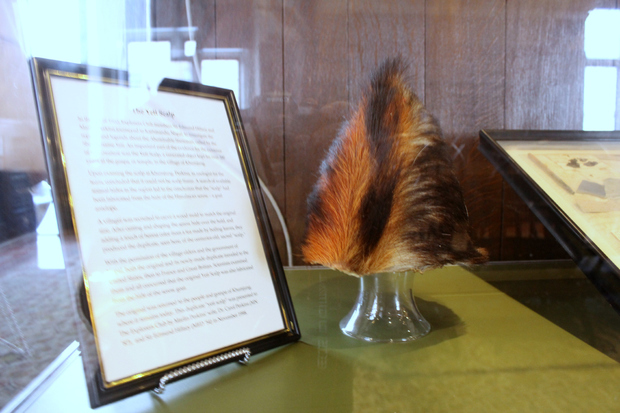 He and his associate, zoologist Marlin Perkins, concluded that the scalp was a fake made out of a goat antelope’s hide. To prove the scalp was phony, they made their own fake. Their version now resides in the club’s trophy room. Nichols said that since agreeing to help the prince, he’s traded emails and phone calls with him, his staff and the country’s Ministry of Agriculture and Forest, which has provided a comprehensive log of Yeti sightings. An Explorers Club member who has helped survey animal populations in the California wilderness has also been giving tips on the best motion-detector cameras and how to use solar panels to power them, Nichols said. “The thrust now is to locate the right kind of technical equipment as well as prepare how to plant them,” he said. Bhutan has large swaths of pristine forestland that the government has kept off limits to people — partly because of the country’s belief in the sacredness of nature and partly to promote conservation. Nichols said Bhutan is working to identify locations in these remote regions to set up the cameras. “Obviously, you need to find the places that are the most remote and yet would have the characteristics that a mammal would need [to survive]. They need water, food and shelter,” Nichols said. He said he expects the cameras to go up this fall. After that, it’s a matter of waiting — likely months — to see if any images are picked up.